My third child is much needier than my other two. He has reflux – so I know he isn’t as comfortable as the rest of the lot. I’m sure that has something to do with it all. Because of this, we have to hold him a LOT more during the day. If we lay him flat, Caleb usually ends up throwing up. It’s a test – but one that we quite enjoy (except at 3AM at night 🙂 ). 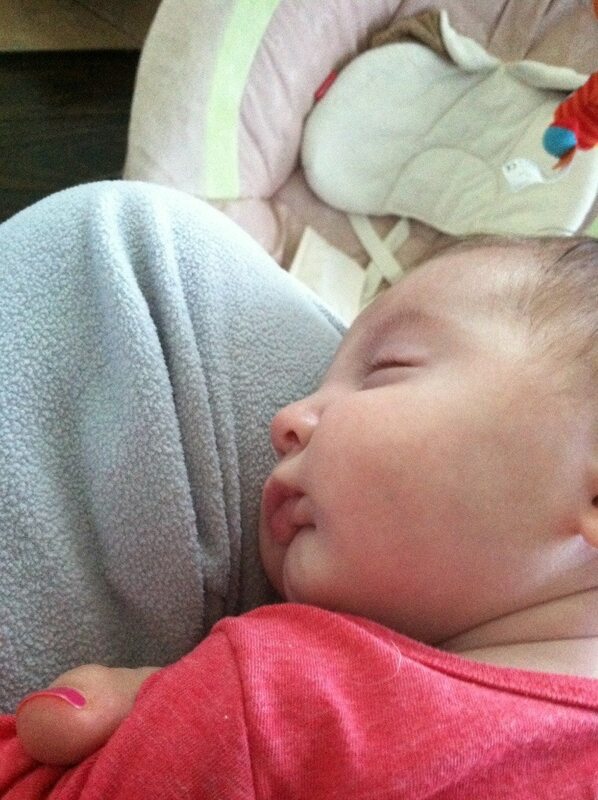 Sometimes when he falls asleep on me, Caleb will grab onto something and hold on so tight. It could be a finger or it could be a piece of my clothing. I love it when he does that because it’s almost like he wants to make sure I’m not going anywhere. So sweet! One of my daughters had reflux bad. She was on Zantac and we used a baby wedge for her crib to help elevator her. It’s tough but it will pass soon enough! I love reading your blog!